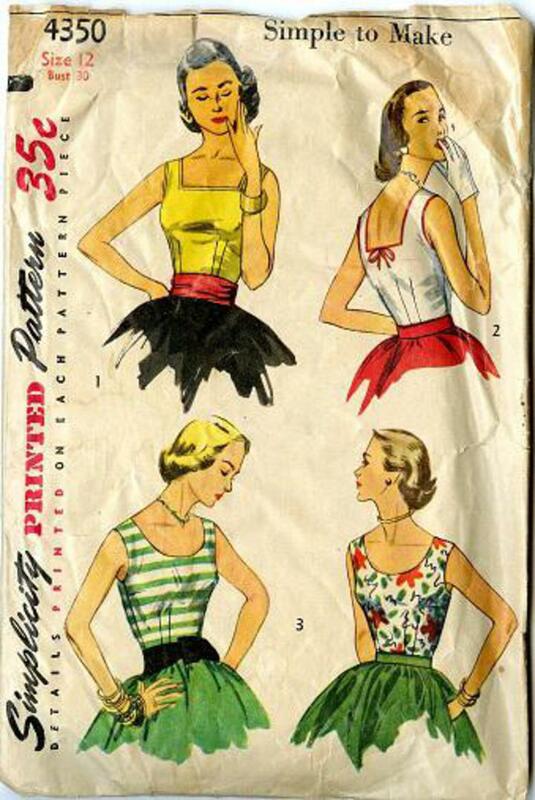 1953 Simplicity #4350 vintage sewing pattern, misses' sleeveless blouse for evening or beach wear, size 12. This 'simple to make' blouse is sleeveless and is styled for evening or beach wear. V. 1 and 2 have squared front and back neckline. V. 3 has rounded neckline.